Following are the Adobe AEM and CQ5 best practices, tips and tricks for creating Adobe AEM project, that can save lot of time and effort if used from scratch of project to avail full power and flexibility of Adobe Adobe Experience Manager and Adobe Communique. If you upgrade content of /libs folder is overwritten by new release, as adobe uses/modify the code written under /libs folder for adding new features. Always copy the item from /libs to /apps folder and modify the component in /apps folder. By doing this when we upgrade AEM we only need to update our code under apps folder if its affected by new release, unlike /libs our code wont be lost. Avoid creating two components with same name. 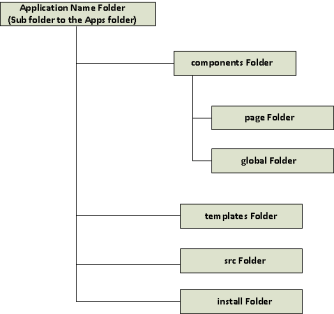 Below is the recommended structure for creating a new project under apps folder in CQ. Of course, you are always free to create structure according to your need and choice. /apps/<site-id>/components/page/<component> —> specific page component goes here, see below in detail. /apps/<site-id>/components/content/<component> –> custom component content goes here. /apps/<site-id>/src –> source code of custom module for creating bundles goes here. /apps/<site-id>/install –> Jar created by maven goes here. /apps/<site-id>/config–> configuration need for OSGI services goes here. 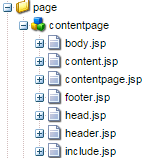 Below is the recommended structure for creating specific component of page. /apps/<site-id>/components/page/base –> cq:Component type it is base component under which below page resides. In this section we are going to cover when to use JCR Queries and when not to use them. Real end-user queries, such as full text searches on content folder. Situations when content needs to be found across the entire repository or project. Note: Always make sure to use JCR Queries only when absolutely required. Note: If you want to rendering content, use navigational access to the content tree instead of performing a JCR Query. 10 Responses to "Adobe AEM and CQ5 Best Practices – Project Structure"
nice blog with clear explanation of concepts. thanks for posting. Visit for http://www.aemcq5tutorials.com/tutorials/aem-create-a-website-in-cq5/ creating a page in AEM. On the component.jsp or your custom jsp file create a registration form. On your custom component add page properties for all the variable that you are planning to add in registration form and map it with your jsp. Now when user fill out the registration form, the values will be saved at respective jcr node. How to map the variable in JSP to the JCR node. Could you please explain in AEM workflow in step by step process. I am Srikanth, had knowledge in Core JAVA and ver much interested in this Adobe AEM. So can you please guide me what are all the pre-requisites for this WCMS tool. If I have a component /apps/zeta/components/carousel. And I drag and drop this on 1000 content pages. Now I move this component to /apps/zeta/components/content/carousel. i.e I change the hierarchy then the pages that will still point to the old path how do I update the pages with the latest location of carousel compoenent. Use a script or servlet to update the node data based on matched data using query.